Daniel Bravo of Valentine Bay, Oregon, was eighteen when his parents died, the oldest of eight siblings. He married his high school sweetheart, Lillie Snow, as soon as she graduated from high school, and together they brought up his three younger brothers and four younger sisters. Eighteen months ago, Lillie died, leaving behind newborn twins, Frannie and Jake. Daniel’s job as CEO of the family logging business demands long hours, and child care for his toddler twins is a major concern for the single father. He can’t seem to keep a nanny, and his mother-in-law, who fills in when needed, has been sidelined with four broken bones in her right foot. Grace, the youngest Bravo sibling and the only one who still lives at home, helps with the twins sometimes, but she is set to return to college soon. 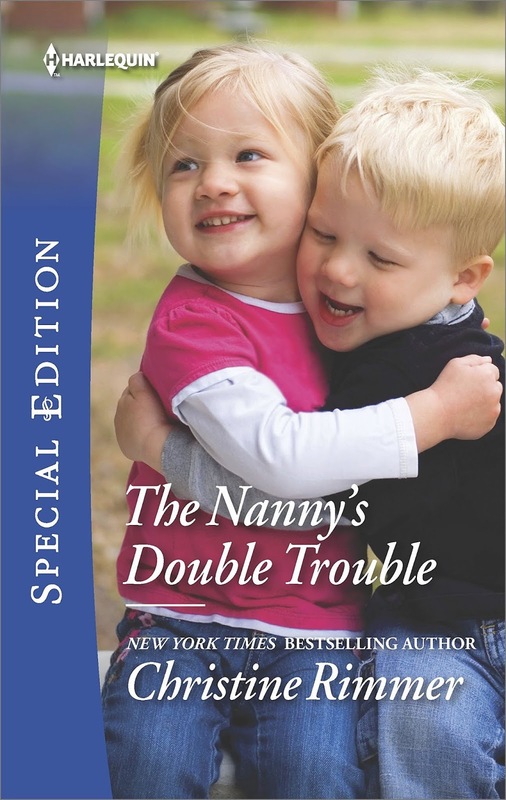 Daniel is desperate, but he is shocked—and a bit reluctant—when Lillie’s cousin, Keely Ostergard, volunteers to take over nanny duty. Lillie was the sister Keely never had, and she is not about to ignore the plight of the babies for whom Lillie gave her life, regardless of her reservations about their father. A successful textile artist and the owner of Sand & Sea, a local gallery, Keely has figured out a way that she can work from the Bravo home and care for the twins. She adores Jake and Frannie, and caring for them is no hardship. As Lillie’s confidante, she is aware that the last years of her cousin’s marriage were troubled, and she holds Daniel responsible for Lillie’s unhappiness. But she has no doubt that she can tolerate Daniel for the sake of the twins. When Keely joins the household, her relationship with Daniel begins to change. As they work together to meet the needs of two delightful, high energy toddlers, they suspend judgment of one another. Gradually, as they move from crisis to crisis, they become good friend who enjoy each other’s company. Then, to their surprise, they realize their mutual attraction, but it takes a little help from a surprising source before they reach their HEA. This is the first book in Rimmer’s Bravos of Valentine Bay series, but it is only the most recent in more than three dozen books about various Bravo family groups. It is a layered, emotional story with a big emotional punch. Daniel is something of a curmudgeon, but he is sympathetic nonetheless. His taciturnity and grouchiness are caused as much by anger as by grief. He is angry with Lillie for dicing with her life and losing. She had known since she was a girl that her lupus made pregnancy something she should avoid. She seemed okay with mothering the Bravo brood until Grace, six when her parents died, grew up. She then became obsessed with having a child regardless of the risk to her or of Daniel’s yearning to be free of the responsibility of parenting after years of playing that role for his siblings. Keely is an immensely appealing character—intelligent, talented, self-aware but far from perfect, strong yet vulnerable. I liked them both. Although the relationship between Daniel and Keely is the center of the book, his relationship with his siblings, particularly Grace, and Keely’s relationship with her free-spirited musician mother are also significant to the story. So too are the relationships of Daniel and Keely to Lillie and the relationship between the aging sisters, the conventional, maternal Gretchen Snow and the hippie chick, rock star Ingrid Ostergard. The book not only gives readers a satisfying romance, but it also sets up expectations for the new series. The next book, Almost a Bravo, is a marriage of convenience tale that will be released October 1. If it is as good as this first book, I will be a happy reader. If you have never read Rimmer’s novels and like contemporary romance with lots of family dynamics, this book is a great introduction to this prolific author. I read this one - enjoyed it! 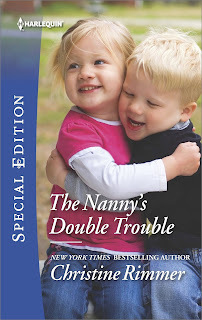 Thanks for the review ----lots of sets of twins in my family ----I know they can be handsful. You make it sound like a book to find. I have never read her books and am looking forward to jumping in. Thanks for the review. Sounds good.